One of the best parts of the recent ISTE conference for me was the chance to sit down and talk with some incredible people in the world of education. Two of those folks – Anthony Speranza and Narissa Leung, award-winning educators from Australia – were in San Antonio not only for the ISTE conference, but also as part of a study tour. Just prior to our meeting at ISTE, they had completed a west-coast tour of schools and technology companies in Silicon Valley, Seattle and Vancouver, BC. And of course, coming from Australia, it must have been interesting to see the differences in their school culture, versus that of US classrooms. For Leung, the fact that most schools in Australia are already 1:1, while in the US, most classrooms are not, was a reaffirmation of what they are doing well. For both, the use of data in the US, as opposed to how it is used in Australia, could be a learning experience for educators in both countries. “One of the things I’ve observed is that for us, data isn’t a dirty word,” said Leung. That may be because currently in the US, data is collected mainly for state mandates, and federal programs. But Leung and Speranza put data into the hands of their students, to help them drive their own education. “There is no way that you are going to be able to differentiate your instruction unless you know where your kids are at,” added Speranza. Today, they share the highlights of their study tour, what they enjoyed most about ISTE, and how they plan to incorporate what they have learned into their teaching. Enjoy! 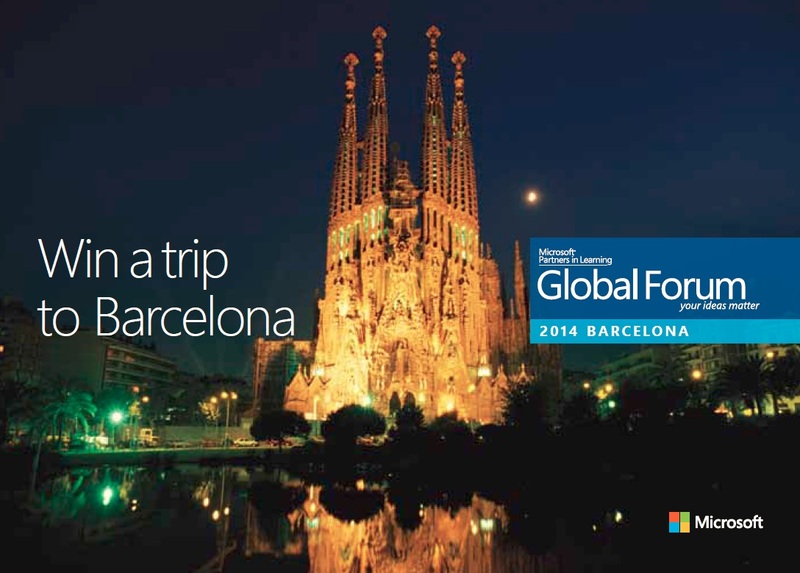 Apply NOW and join us in Barcelona for the best education conference of the year! This entry was posted in Change Management and Culture of Innovation, People and tagged ISTE, Microsoft Partners in Learning, Partners in Learning Global Forum. Bookmark the permalink.